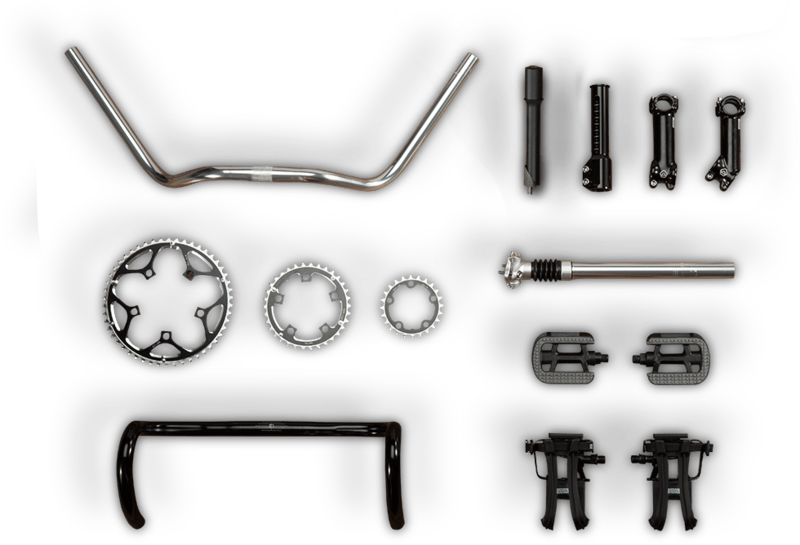 At Dimension, we believe in producing quality components that allow riders to customize the fit and personality of their bikes for a more comfortable and enjoyable ride. Having a comfortable set up on your bike – with the right stem, grips, pedals, or handlebars can transform an imperfect bike into a ride you’ll love. We also make the chainrings, cogs, forks, and other replacement parts that keep you on the road season after season.